One of the premier events on the motorcycle calendar has enjoyed yet another bumper weekend, as enthusiasts poured in to Staffordshire County Showground to see star guests, stunning bike restorations and a record-breaking Bonhams sale. 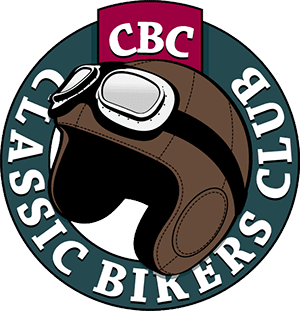 Thousands came through the gates across October 17-18 to the Carole Nash Classic Motorcycle Mechanics Show, exploring the hundreds of trade and autojumble stands packed into every corner of the venue. Exhibition manager Nick Mowbray said: “Across all areas, this has to go down as one of the most successful Stafford shows ever. A record-breaking auction and increased attendance figures certainly demonstrate that. It was a record-setting motorcycle auction at the show, as three Brough Superiors sold for a combined £704,500. 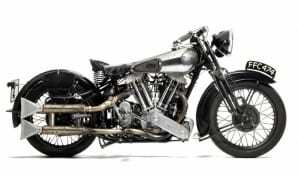 A complete Olympia Motorcycle Show 1937 Brough Superior 990cc SS100 went for £208,700, while a pair of Brough Superior 981cc SS100 Alpine Grand Sport projects reached £236,700 and £259,100 respectively. The star lots contributed to a total weekend figure of £3.6 million worth of machines sold, an all-time high for Bonhams’ annual October event and the highest grossing motorcycle sale to ever take place in Europe. Bonhams’ international director for collectors’ motorcycles Ben Walker said: “With great looks, excellent engineering and a prestigious reputation, it’s no surprise Brought Superior continues to prove popular. Further notable lots included an ex-Steve McQueen 1934 Indian 750cc Sport Scout – £59,740; a 1971 Münch 1 177cc TTS ‘Mammoth’ which went for double its top estimate – £85,500 and a former TT 1932 Rudge 350cc Works Racing Motorcycle which attracted fevered bidding to see it realise more than seven times its top estimate – £70,940. Former Top Gear host James May added a celebrity element to the auction room as he turned up to see four examples from his own collection go under the hammer. Top lot for Captain Slow was his 1967 Honda CB450 ‘Black Bomber’ which sold for £5980. On Saturday, a collection of 60 rare, mainly American motorcycles – stored in a highly sought after personal collection – achieved a total of £1.3 million. Four-time Formula One world champion Sebastian Vettel was among the crowd for the sale. A rare-to-the-UK 1968 Suzuki T305 has scooped the prestigious honour of Best In Show The model, which was only produced for American markets, was brought to the UK by current owner Paul Cann just before the same event last year. He’s since used specialist suppliers and service providers to restore it to pristine condition; his project being rewarded with the highly sought after honour, a trophy and £100 first prize. 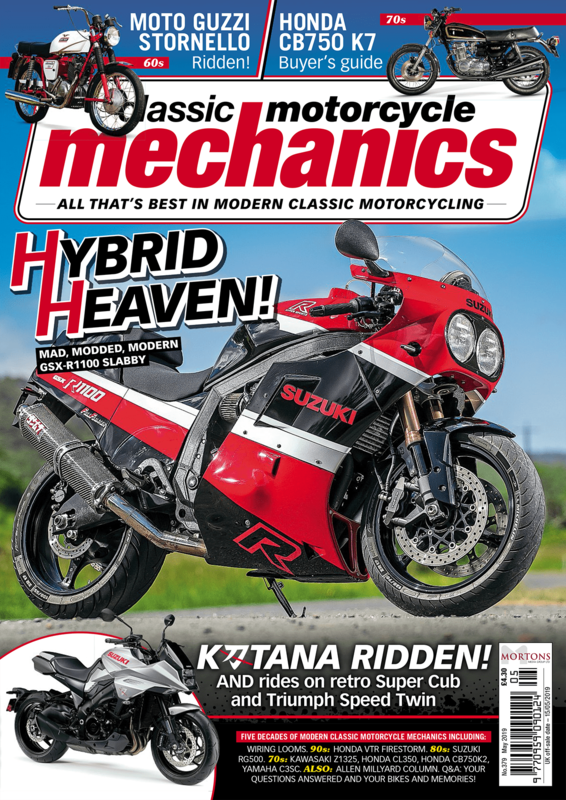 Paul said: “I’ve always been interested in bikes that are a little bit different, and with this particular Suzuki having never been sold in the UK it does get a lot of attention when displayed here. It was also a successful event for members of the Kettle Club, with the Suzuki GT750 enthusiast group claiming the Best Club Stand award. A variety of models were on display, but it was the 1970s disco and tie-dye theme which really caught the eye; exhibitors on the stand even dressing up in some instantly recognisable 70s apparel. Kettle Club committee member David Hewitson said: “The GT750 was launched in 1971, and we had several bikes on the stand from the decade. Our ‘theme’ pretty much decided itself! The club also drew attention to the stand with a fully functional GT750 engine controlled by microprocessors, and a smoke machine to evoke the nostalgic feel of the two-stroke machine. Thousands of motorcycle racing fans turned out to see their hero as Isle of Man TT legend John McGuinness took his place as star guest. The 23-time TT race winner appeared on stage several times throughout the weekend of October 17-18 being interviewed by fellow road-racer and TV host Steve Plater. Addressing packed crowds, John covered topics including his plans for next season’s racing, his own personal collection of machines, his fellow competitors and teammates and what’s left on his career wish list. He revealed that he signed a contract last Sunday for an 11th consecutive year with Honda, and will be competing at the North West 200 and TT in 2016. When asked about retirement, he told the audience that he feels as good as ever when he’s on the bike, and can’t currently imagine a scenario where he’d be able to give that up. Responding to a question about what he has left to achieve, John said that having not won at the Classic TT is a source of great frustration for him and is something he wants to put right. As well as appearances from McGuinness, John Cooper, Sammy Miller, Jim Redman and Colin Seeley were among the famous motorcycle names to grace the venue.